Do you often lose small ideas and to-do's? Now you can save them to your iPhone in ONE TAP! Say&Go is a simple yet powerful and smart voice recorder in which all you have to do to capture a note is open the app. Say&Go will start, stop and share the recording for you. In Say&Go your voice notes must be short so you can easily share them and use for reminders. Perfect for taking notes and to-do’s to your inbox when driving or when you are generally on the fly. The whole app is fully compatible with iOS 7 in terms of its functionality and design. 148apps.com: "Extremely convenient for those commuters who do serious planning and brainstorming on the road, for example." Apppicker.com: "With Say&Go at your disposal you can rest assured that you’ll never miss out on a great idea again!" 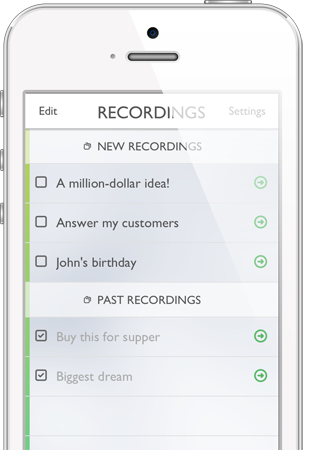 antyapps.pl: "A voice recorder I have always been looking for." productivityist.com: "Say&Go is an iPhone app that does one thing very well for its price tag: capturing whatever you say in short bursts and share recordings in several ways with very little friction." betterproductivityblog.com: "I like apps and software that surprises me with simplicity. This app did it. The app is really simple, fast and does what it is meant for." 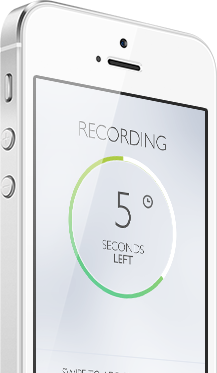 Do you want to be reminded about a voice note after a few minutes? 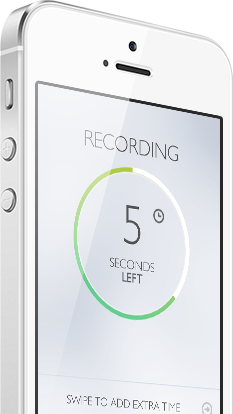 No problem – just swipe right when recording finishes and that’s it. A perfect solution if you need to quickly capture an idea you have come up with during a comfort break and that will be important when you are back at the meeting. Do you want to set a reminder to appear in a few days? Great – just select a recording, and set the date. No need for lengthy descriptions – you can simply listen to the recording when the reminder appears. Files may be instantly uploaded to Dropbox and Evernote or sent to the default mailbox. Just record a note and seamlessly find it on your computer! © 2013 DafterApps. All Rights Reserved.